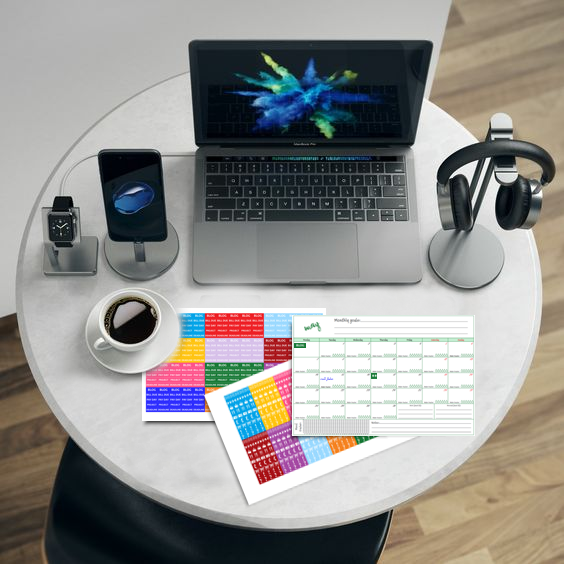 Today, I have the pleasure to present to you a totally different product from everything that you were able to find on my website by far - a monthly planner. The idea behind it is to create something much more efficient and compact than everything I was able to find. The big fat yearly journals are really good, but I needed something compact that doesn't make more work for me by filling yearly, monthly, daily and hourly plans and goals. 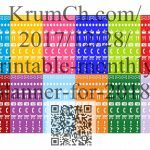 I gave myself a limit of one A4 page per month with the intent to make it as efficient as possible. In addition to the daily plans boxes, for every month, you are able to track your mood, water drinking, goals, personal and work must do and to write notes. 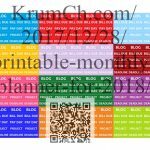 As we mention, space is limited, so I made a pack of custom stickers which make planning visually easier and space saving. You must log in or create account to purchase this planner. 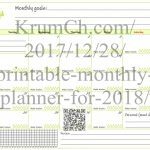 This entry was posted in Hacks, Other products and tagged 2018, Monthly Planner, Printable Monthly Planner, Printable Monthly Planner for 2018. Bookmark the permalink.